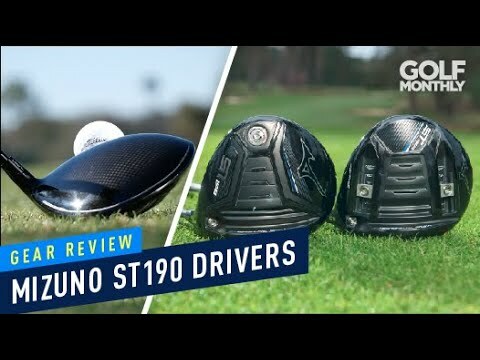 http://txg.ca – Our in-depth review of the new Mizuno ST190 driver! See how it compares to one of the best performers of 2018, the G400 LST, in ball speed, spin rates and launch angle! Has Mizuno made a driver that can be a major contender this year? Don't miss this video to find out! 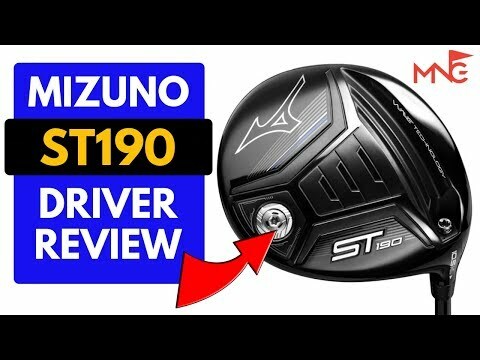 http://txg.ca – Our in-depth review of the new Mizuno ST190 driver! See how it compares to one of the best performers of 2018, the G400 LST, in ball speed, spin rates and launch angle! Has Mizuno made a driver that can be a major contender this year? Don’t miss this video to find out! Does it come in blue. Not really fair to give the mizzy a whatever shaft, against a fitted pinger. Full fitting vs. Full fitting. Great test guy's. Currently game ST180. Is there an option to adjust the weight value fitted to the rear of the head on the ST190?. Mizuno do not supply for the ST180. not sure i saw much here to justify a switch? looking forward to seeing a full fitting with this. Hey guys, love the format of the reviews – initial testing, then a fitting video, and then changing testers around for varying viewpoints. Fantastic , thorough, and fair. Can’t get enough of these, especially when I’m in the market for new woods. Looking forward to all the different models. Keep it up! Now we see a significant change in technology.Ten years ago. Trackman avg for 120mph ss is around 290 carry. But since TXG channel launched. Matt hit modern day drivers with 120+ ss able to carry 300+ avg. So anyone who still gaming with a more than 10 years old driver. It worth to upgrade now. I wish I could "struggle" with 316 carry and a tight draw. That doesn’t look like Matt’s TPT shaft? Is that the new Accra? The absolute gold standard in club reviews. Keep up the fantastic work fellas. Would this head or ST190G help as the loft sleeve can adjust lie angle to sit more closed at a lower loft? I’m very interested in this driver as I tend to have to release hard to keep my driver from leaking right. I’m right handed and use Ping G400 LST w/ Accra Dymatch 2.0 MT 60 lofted down to 7.5. Need a low launch and lower spin since I tend to flip a little adding loft. Please release the fitted Cobra next. Every review i've seen shows it's lights out! I'd be interested to know how Ian swapped the heads at 7:30. I thought different brands had different adaptors, which are glued to the shaft. So you need to heat it to release the glue to change the adaptor on the shaft. He seemed to swap things over very easily here. Can anyone enlighten me? PS Matt hit the 350 mark at 17:30! The '349 curse' has been broken. Sure wish you were a little closer…..most "fitters" around here act like they are doing you a favor just to let you show up in their presence. Thanks guys – very thorough. Look forward to the follow ups. Awesome baseline review guys ! Like to see Ian do his magic and fit Matty to that Mizuno ST 190 ! Anxiously Waiting for the Cobra F9 speedback review to drop ! Hopefully tomorrow, notifications are on as always. Ian, it was nice to meet you at the show. This driver looks like a smaller epic SZ from the top but not as harsh at impact. I absolutely love your honest opinions on your reviews. 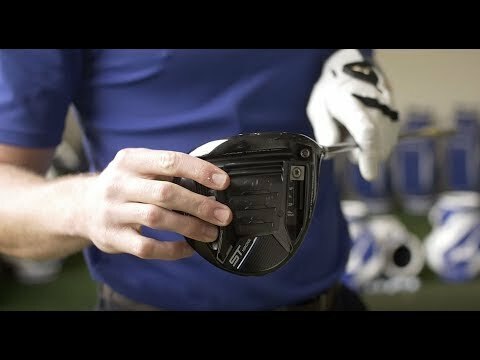 You guys make so much sense when you explain the adjustments you make on a club fitting. Went for a driver fitting recently and left without buying anything as I feel I was being forced into a certain brand they were supporting and I didn’t feel comfortable or confident in what they fitted for me. If only you guys were based in the uk. Just wanted to confirm that Matt's gamer is still the G 400 max. The graphics on this video show it being the G400 LST. Second, if Matt can hit the max 350 yrds why change. Got to be more potential to save strokes in the other 13 clubs than another driver?